H.264 Export from After Effects is Washed Out: How to fix your exported videos to (more closely) match the original. I capture a video using Fraps. It produces a many-gigabytes AVI movie. I load the AVI into Adobe After Effects (at which point the colors match what was on screen exactly). Then I export the video to H.264 so I can get good quality, small file size, and a format that works well on YouTube. When I open it in QuickTime Player, or VLC Media Player, the colors appear massively washed out. The darks are too bright, the saturation is too low. Turn off color management. It does not matter if you do this by having no Color Working Space and export as pure RGB, or if you set your color space to sRGB and export as sRGB. As long as the working space and export color space are the same, you should be good to go. Open the .mp4 in QuickTime Player. So far you will see NO change in your color. In the dialog that shows up, select the Video Track, go to the Visual Settings tab, and change the Transparency setting to “Straight Alpha”. At this point you should see the colors change and get better! You should probably also check the “High Quality” checkbox (of course you want that! ), though exactly what it does is not clear. 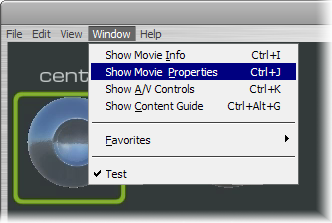 Close the Movie Properties dialog, and save your movie as a new (self-contained) file. The results are not perfect, but much, much closer. I wish the colors were exactly correct. If you have more information on how to get better results, please add a comment below, or email me (see “contact” above). If you are using an NVIDIA graphics card on Windows, there is another possible solution for washed-out videos. 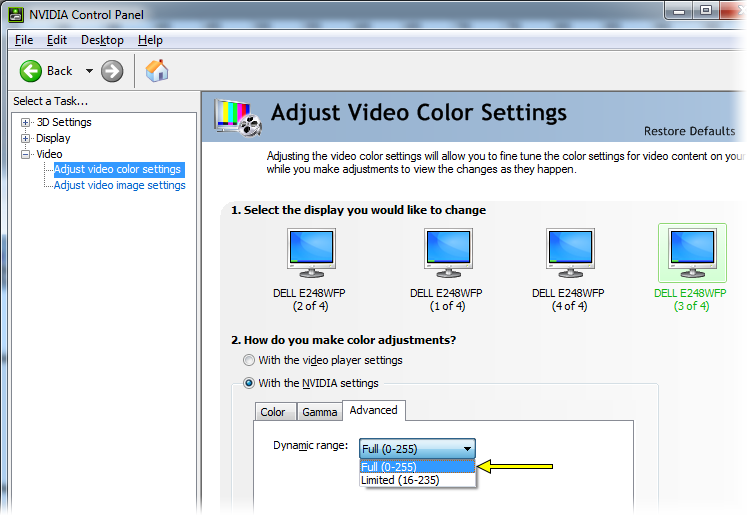 In the NVIDIA Control Panel, go to Video Adjust video color settings and for each monitor you have (I happen to have four) select the display, and then change How do you make color adjustments? 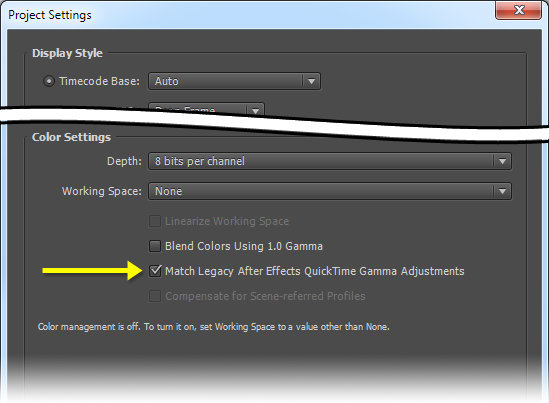 to With the NVIDIA settings and then in the Advanced tab change the Dynamic range from Limited (16-235) to Full (0-255). Voila! H.264 videos are no longer washed out in your videos, on every video player. There is, apparently, an equivalent fix for ATI drivers (which requires modifying the Windows registry). Setting the Working Space of your project to sRGB and exporting with sRGB. 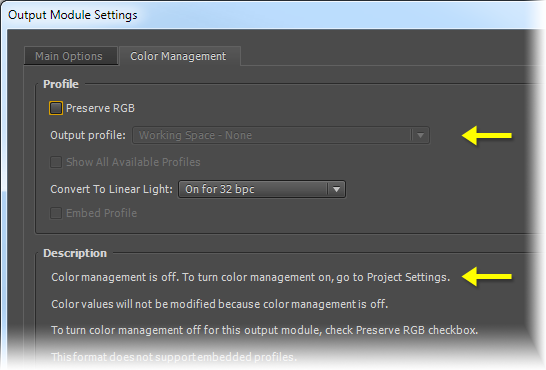 Setting the Working Space of your project to sRGB and exporting with Preserve RGB. 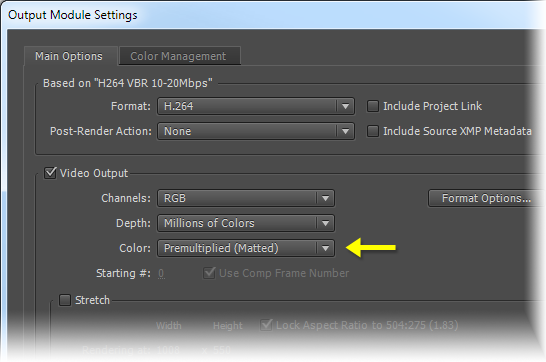 Changing the “Color” setting for your video output in After Effects to “Straight (unmatted)”. Whenever I export my videos, its originality being washup but your method really work for me to preserve the originality of my export videos, I also try to take help with https://babasupport.org/microsoft/windows-media-player-service/368 which give me perfect solution but the last step is missing, which I found from your site. Whenever I export my videos, its originality being washup but your method really work for me to preserve the originality of my export videos, I also try to take help with Windows Media Player Service which give me perfect solution but the last step is missing, which I found from your site.